In The Life Transformation Diet, Joanne Reid Rodrigues shares the strategies for change that worked for her. 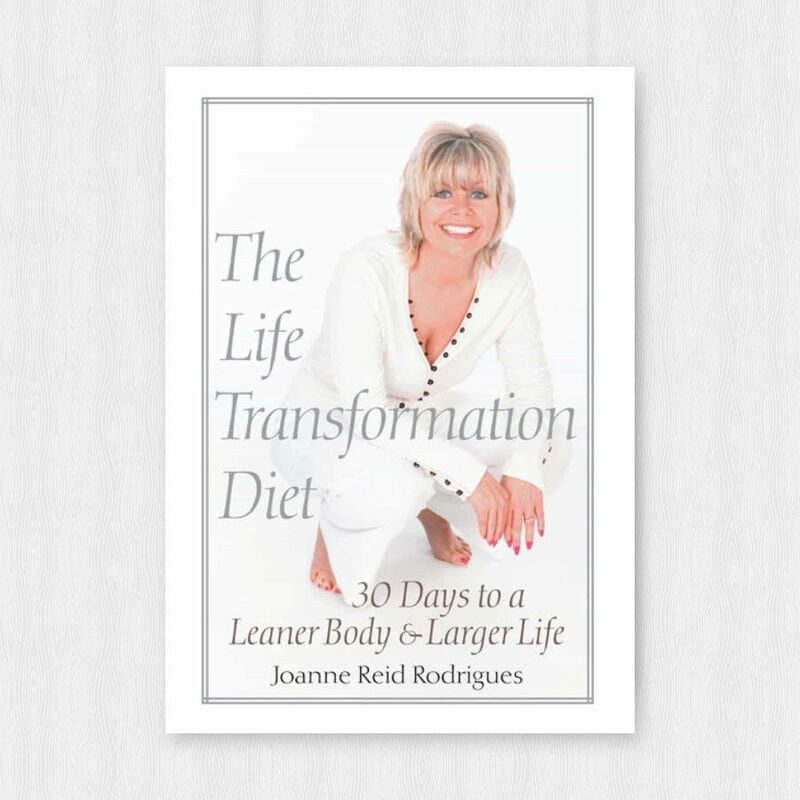 In The Life Transformation Diet, Joanne Reid Rodrigues shares the strategies for change that worked for her. This beautiful 290-page book is full of delicious, easy-to-use recipes that kick off with the 100 Percent Natural Energy Power Start Plan, plus nutrition information and thought-provoking, inspirational stories from Joanne’s life and work with tens of thousands of satisfied clients. If you think you’ve heard all there is to hear about transforming your body and your life, think again! Thousands have already succeeded with The Life Transformation Diet – you can too!